TAC specialise in offering Operator Licence application advice and support. You will need to apply for a goods vehicle Operator’s Licence if you are planning to use a goods vehicle of over 3.5 tonnes gross plated weight or (where there is no plated weight) an unladen weight of more than 1,525kg to transport goods for hire or reward or in connection with a trade or business (in this instance ‘goods’ means goods or burden of any description). A goods vehicle Operator’s Licence is required for each traffic area where you are proposing to have an operating centre. TAC has many years’ experience in preparing and submitting Operator Licence applications to the Office of the Traffic Commissioner. The knowledge we have gained during this time enables us to provide our clients with well-informed guidance and excellent advice. 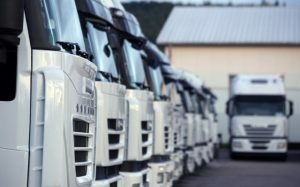 We specialise in transport legislation and O Licence compliancy, offering a full range of services including Operator Licence variations, Independent Compliance Audits, Transport Consultancy visits and tachograph data analysis. Checking your supporting documentation, ie. Financial evidence, maintenance agreement etc. Upon the successful granting of your Operator’s Licence, you must ensure that you have robust systems in place to ensure your adherence to the undertakings you agreed to comply with. Our bespoke consultancy service is designed to support you with this, please contact us on 01375 887 245 if you would like to know more about this.